Maria Theresa of Naples and Sicily, the last Holy Roman Empress and the first Empress of Austria, was born at the Royal Palace of Portici in Naples on this day in 1772. She was the eldest daughter of Ferdinand IV & III of Naples and Sicily (later Ferdinand I of the Two Sicilies) and his wife, Marie Caroline of Austria, through whom she was a niece of the last Queen of France, Marie Antoinette. Named after her maternal grandmother, Maria Theresa of Austria, she was the eldest of 17 children. Her father was a son of Charles III of Spain and through her father she was a niece of Maria Luisa of Spain and Charles IV of Spain. Although she had a reputation for pursuing a somewhat frivolous lifestyle, which revolved around balls, carnivals, parties and masquerades, she did have some political influence, advising her husband about the make-up of his government and encouraging him to go to war with Napoleon, whom she detested. She assumed her titles after she married her double first cousin Archduke Francis of Austria on September 15, 1790. 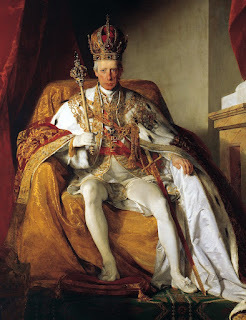 Francis became Holy Roman Emperor at age 24 in 1792 after the two-year reign of his father Leopold. Francis feared that Napoleon could take over his personal lands within the Holy Roman Empire, so in 1804 he proclaimed himself Emperor Franz I of Austria. Two years later, after Napoleon’s victory at the Battle of Austerlitz, the Holy Roman Empire was dissolved. Therefore, Maria Theresa was the last Holy Roman Empress and the first Empress of Austria. 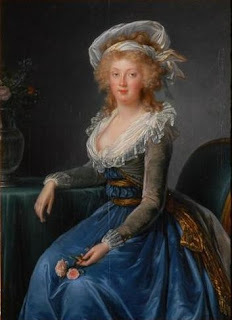 She and Francis were quite different personalities, Francis a serious statesman compared with Maria Theresa, who was regarded as a sensuous beauty with an easy-going manner. The marriage lasted 17 years until Maria Theresa’s death and it said that the union was happy one, yet some accounts suggest this was not quite the case. Maria-Theresa was also accused of indifference towards the fate of her parents when French revolutionaries swept into Naples in 1799, forcing her father to flee to Sicily aboard the British admiral Horatio Nelson’s ship, HMS Vanguard. Yet in her life of self-indulgence in Vienna, she was an important patron of Viennese music. She commissioned many compositions for official and private use. Joseph Haydn wrote his Te Deum for chorus and orchestra at her request and composed numerous masses to celebrate her reign. She also helped further the careers of Paul Wranitzky and Joseph Leopold Eybler, a composer of sacred music. 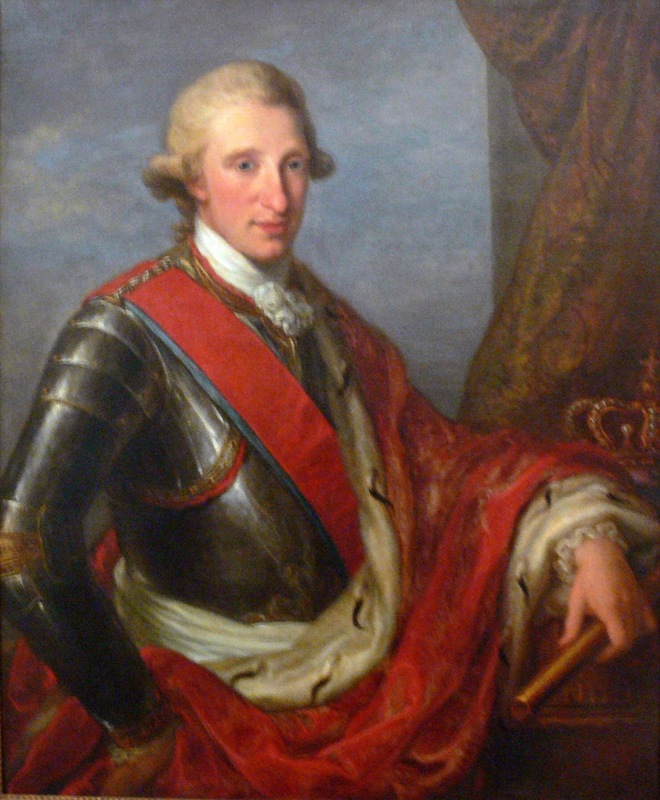 Maria Theresa died after giving birth to her 12th child. Towards the end of the pregnancy, she fell ill with pleurisy. Her doctor induced premature labour. The child was delivered but died after only one day. Maria Theresa did not recover and passed away aged just 34. She was buried in the Imperial Crypt in the Franzensgruft, where she rests today alongside her husband and his three other wives. 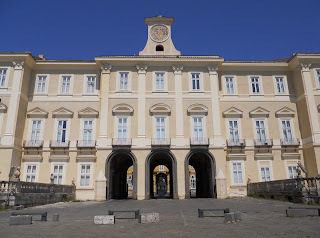 Maria Theresa was said to have been born at the Royal Palace at Portici, one of four palaces used by the Bourbon royal family during their rule of the Kingdom of the Two Sicilies, the others being at Capodimonte, Caserta and in the centre of Naples, overlooking Piazza del Plebiscito. 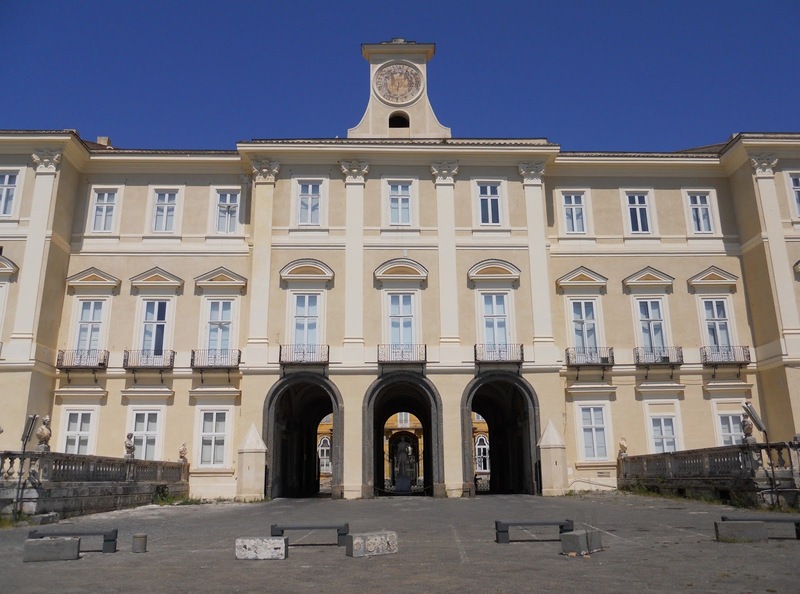 The Portici palace, near the remains of the Roman city of Herculaneum, was built in 1738 as a private residence and a palace to receive foreign officials. 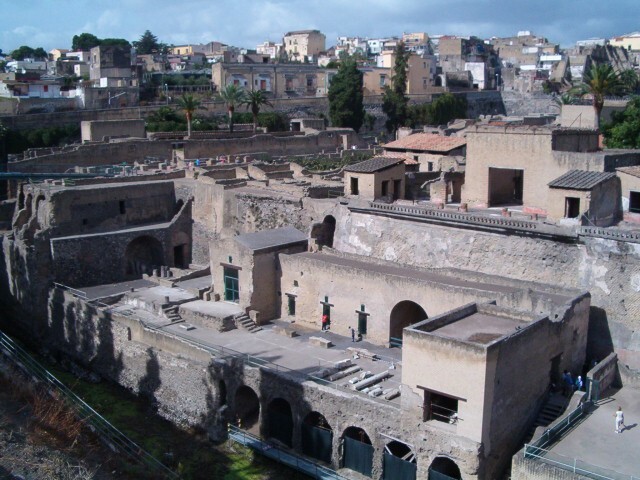 Today it is the home of Botanic Gardens operated by the University of Naples Federico II and Accademia Ercolanese, a museum of objects found on the Herculaneum archaeological site. Herculaneum – locally Ercolano – like Pompeii was an ancient Roman town destroyed by 79 AD eruption of Vesuvius. It is one of the best preserved ancient cities. Unlike Pompeii, the deep pyroclastic material which covered Herculaneum preserved wooden and other organic-based objects such as roofs, beds, doors and food. It had been thought that the town was evacuated before the eruption but in recent years some 300 skeletons have been discovered nearby.